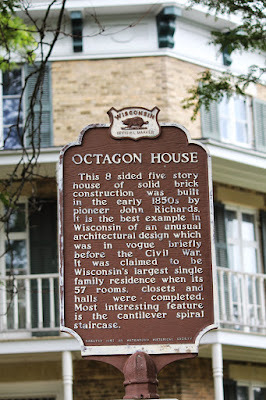 This 8 sided five story house of solid brick construction was built in the early 1850s by pioneer John Richards. It is the best example in Wisconsin of an unusual architectural design which was in vogue briefly before the Civil War. It was claimed to be Wisconsin's largest single family residence when its 57 rooms, closets and halls were completed. Most interesting feature is the cantilever spiral staircase. 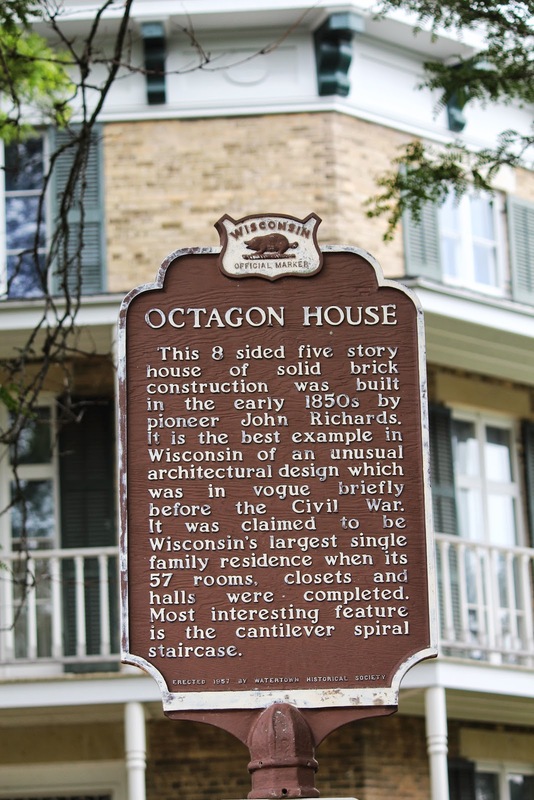 The marker is located on the grounds of the Octagon House Museum / Watertown Historical Society, 919 Charles Street, at its intersection with Sunset Drive, Watertown, Wisconsin 53094. 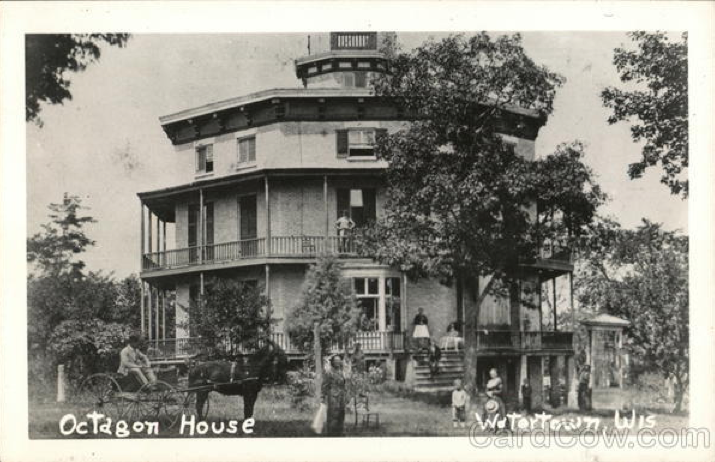 This miniature of the Octagon House was recently restored and returned to the museum grounds. 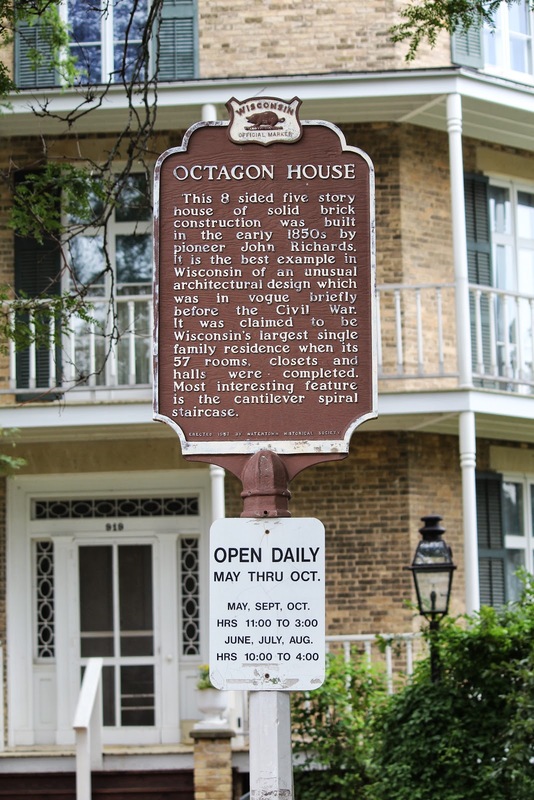 Click here to learn more about the miniature Octagon House; click here to learn more about craftsman Thomas Gates. Octagon House is located in Watertown, Wisconsin.